Velocity Outdoor will be exhibiting at the 2019 SCI Annual Convention in Reno, Nevada January 9-12, 2019 at the Reno-Sparks Convention Center. On display will be the Benjamin Bulldog and the Benjamin Airbow along with Ravin Crossbows. 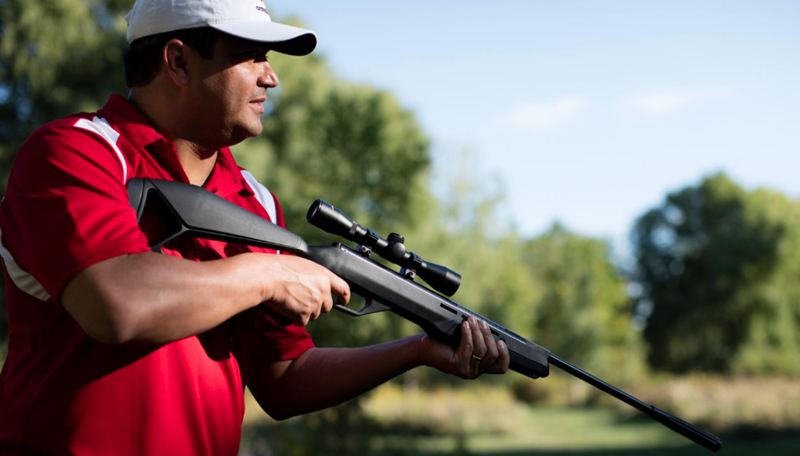 The Benjamin Bulldog is the premium hunting airgun of Velocity Outdoor. The Bulldog .357 air rifle is lighter, more maneuverable and features over 30 inches of rail space for accessorizing. The Bulldog is lethally effective on predators, large hogs, trophy whitetail and even African plains game. The Benjamin Bulldog delivers consistent five-shot groups of nearly 800 feet per second (FPS) and with a stunning 200 foot pounds of energy (FPE) when using the Benjamin eXTREME™ airgun 145 grain hunting bullet by Nosler®. Shooters can expect up to 10 usable shots on a single charge. Included in the Velocity Outdoor lineup for SCI will also be two brand new ground breaking Ravin Crossbows for 2019. The new additions will officially be released to the public on January 9, 2019.